New Delhi: After Robert Vadra was summoned at the ED for questioning him in connection with a money laundering probe, the BJP on Wednesday attacked the Congress and Vadra claiming he got "kickbacks" from petroleum and defence deals during the UPA regime. BJP spokesperson Sambit Patra alleged that Vadra "bought eight to nine properties in London" from the money he got as kickbacks in 2008-09 when the UPA was in power. Addressing a press conference here, Patra said he would like to ask Vadra "what is the formula of becoming crorepati from roadpati?" Alleging that "corruption" has been the "core agenda" of the Congress party, Patra said, "Everybody knows every member of the family is out on bail." "The 2019 Lok Sabha election is a fight between the gang of corrupt versus transparency of Narendra Modi government," he said. Vadra has in the past denied allegations of wrongdoing and termed them a political witch hunt against him. Rahul Gandhi's sister Priyanka Gandhi is married to Vadra and has been recently appointed as party general secretary incharge of eastern Uttar Pradesh. Patra alleged that the "kickbacks received from petroleum deal" went to the account of a company linked to Vadra and that he did round-tripping of money through various ways. Similarly, the BJP spokesperson alleged, another company used to get kickbacks in defence deals during the UPA regime, which eventually went to Vadra. Quoting an e-mail trail, he alleged that Vadra's company received "kickbacks" from a series of companies floated to "turn black money into white". 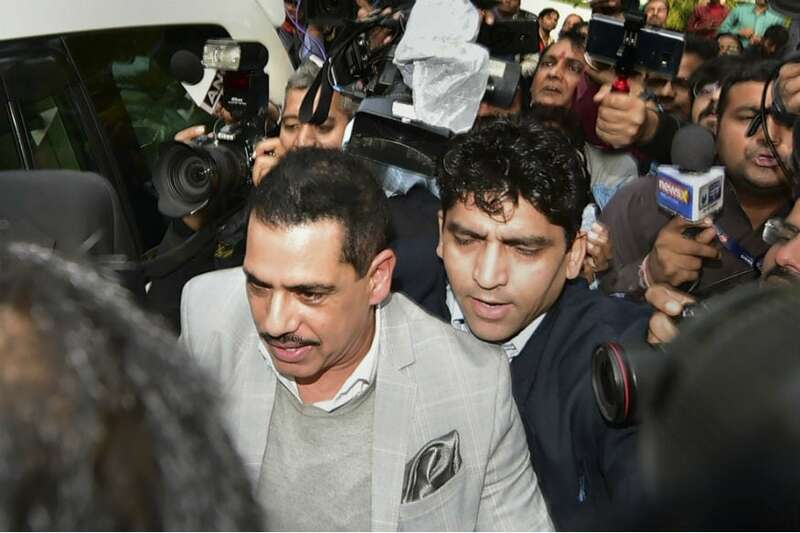 Vadra Wednesday appeared before the Enforcement Directorate (ED) in connection with a money laundering probe case relating to alleged possession of illegal foreign assets.